"독도는 오리땅!" 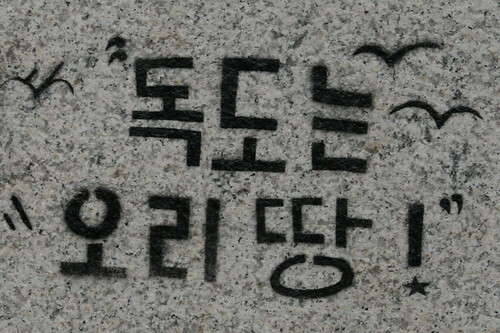 translated into English means "Dokdo, Land of the Ducks!" 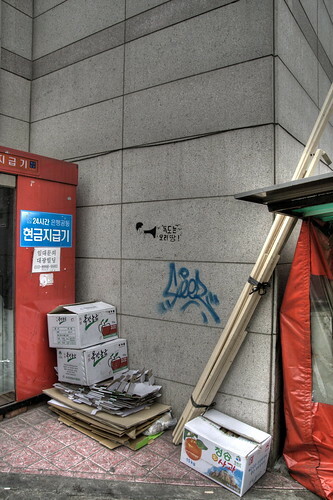 Substituting the "오리" for "우리", the waterfowl community of Itaewon is sending a strong message to both the Japanese and Korean governments. No longer content to suffer the polluted conditions of Seoul, the ducks of the Yongsan-gu area are vying for their own spot of unspoiled paradise which they can truly call their home. "Dokdo is for the birds." 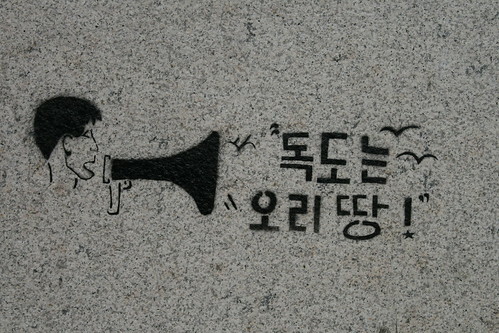 Reminds me of a word-play I used with my students if they ever went on too much about Dokdo: "독도는 오리 똥!" They could see the humor in it. I doubt most adults here would be as forgiving unfortunately. HA! That is funny. I wish I had thought of that grafitti. In an unrelated, and possibly geographically confusing note, I ate roast duck meat slices on Jeju Island once. I also ate duck tongues and duck webs in Beijing, China. Think about that. 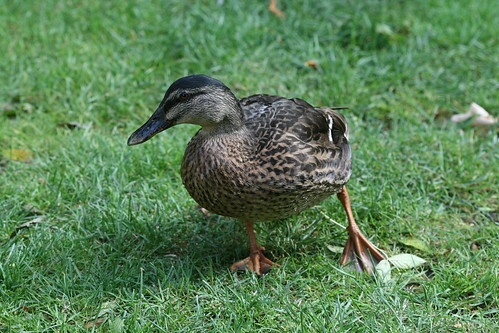 The roast duck on Jeju sounds great, but I'm not convinced about the Beijing delicacies. Surely there can't be that much meat on a duck's tongue? How was it?